In our previous blog post, Dr. Van Treese discussed many of the common causes of tooth discoloration. It is important to know why your teeth are discolored so you know what kind of treatment will work for you. Below, Dr. Van Treese, located at 2627 Broadway Ave., outlines the many options available for teeth whitening. At-Home Systems: An at home system from Dr. Van Treese will make use of custom-made trays to fit your teeth. Your custom-made trays will be filled with a whitening product and worn overnight, or for hours at a time. Dr. Van Treese recommends using the system for seven to ten days to achieve optimal results. Whitening Products Available in Stores: Products like toothpastes, strips, and mouthwashes available in stores will whiten your teeth, but not by much. This is due to a lack of bleaching agent present in the product. These products can lighten your teeth by just one shade. In comparison, the at-home system available at Dr. Van Treese’s office will lighten your teeth by three to eight shades. OTC Products: Unlike products available on the shelves, these products do contain a bleaching product like hydrogen peroxide. However, the bleaching product that is contained is in much smaller amounts than an at-home system. Veneers/Crowns: As we stated above, teeth discolored by trauma or medications will not respond to products that contain hydrogen peroxide or carbamide. 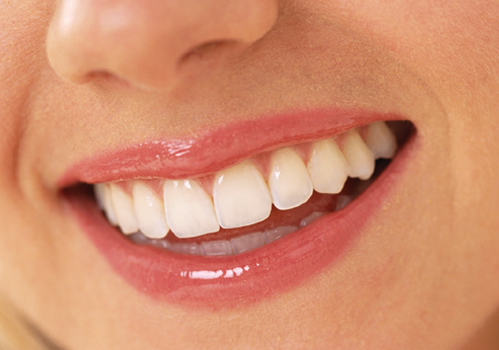 These products will offer you a chance to have bright white teeth no matter what the cause. With the many options available for teeth whitening, it is imperative to consult your dentist as to what option will work best for you. Your dentist will be able to properly evaluate your teeth through a thorough exam, and determine what will offer you the best results. One common side effect of teeth whitening to be aware of is tooth sensitivity. Your tooth sensitivity should subside after your procedure is completed. If your sensitivity becomes too intense, you can suspend your treatment and restart once the sensitivity has subsided. Want to whiten your teeth? Dr. Van Treese, DDS, in Sidney is always welcoming new patients, and wants to give you the smile you desire. Contact us today at 937-492-6984.